Hanna graduated from the Royal Danish Academy of Music in 2009. Since then she has become a member of The Danish National Concert Choir, Vor Frues Kantori in the Cathedral of Copenhagen and now in Ars Nova Copenhagen. 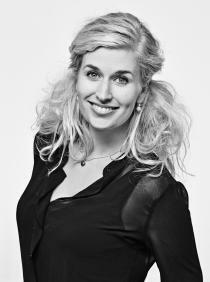 Moreover she assists fequently in the Danish Radio's Vocal Ensemble and in Musica Ficta, conducted by Bo Holten.